The Pei Pyramids in Paris had created quite a stir when they were commissioned in 1984. Some find their modern edifice rather odd in front of the Louvre Museum with its classical architecture. Others laud the juxtaposition of contrasting architectural styles as a successful merger of the old and the new. As for me, I just stood there awestruck looking at them outlined against the setting sun. Wow! Well, there is a practical purpose behind it after all. 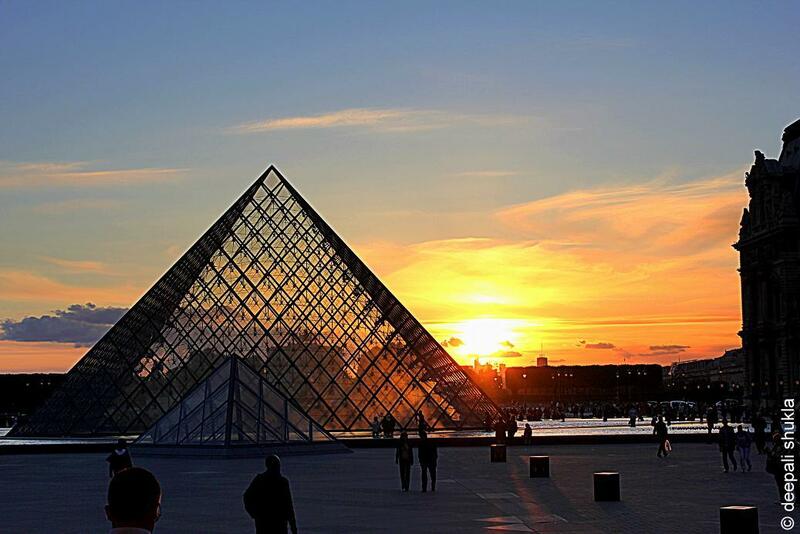 The main glass pyramid was created along with the underground lobby because the Louvre’s original main entrance could no longer handle the huge number of visitors everyday. 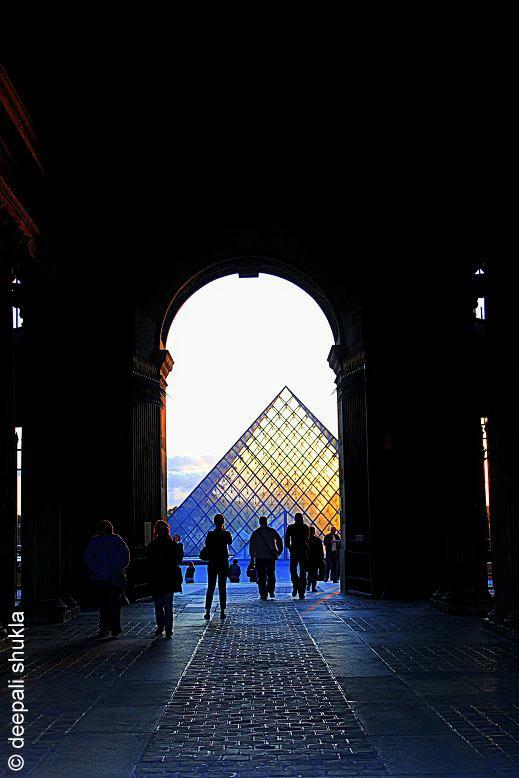 So, now, you enter through the pyramid, descend into the spacious lobby and then re-ascend into the main Louvre buildings. The main Pyramid is countered by two smaller pyramids, which provide further light and ventilation to the subterranean spaces. It is a complex inter-linked steel structure sheathed in reflective glass, designed by I.M.Pei. 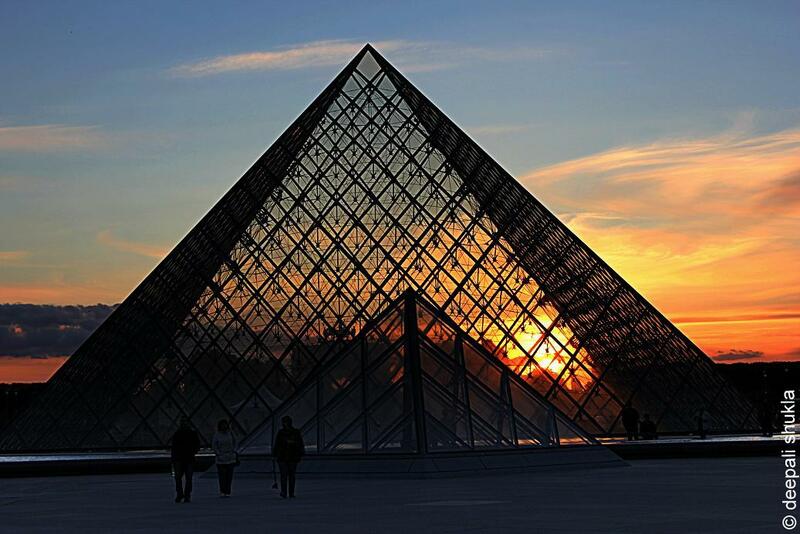 There’s a myth that the glass panes in the Louvre Pyramid numbered exactly 666 at President Mitterrand’s explicit demand. This has always been a hot topic among conspiracy buffs who claimed 666 was the number of Satan..yeah reminds me of the sequence in the Da Vinci Code. 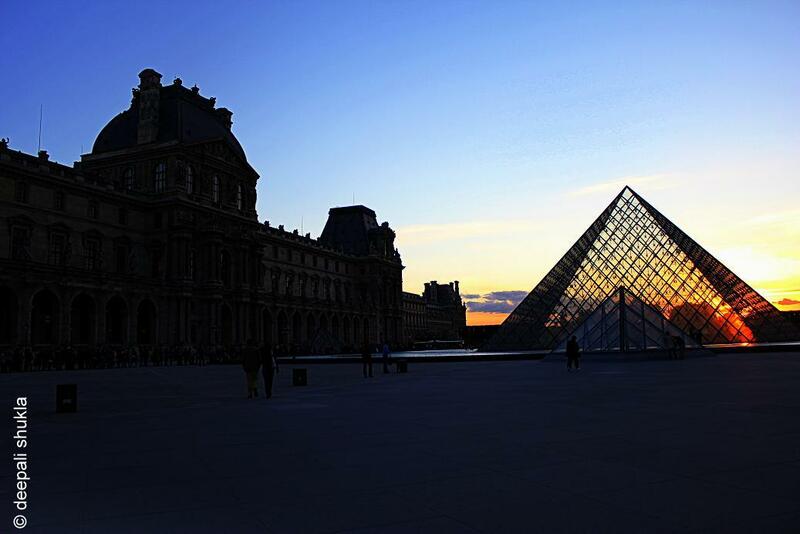 The Louvre museum however has put the official number as 673. So, there. See more silhouettes in Daily Post Weekly Photo Challenge here. Thanks, Mary. Glad you stopped by. I’m in awe! Stunning shots! My favorite too. That’s from where I got the first glimpse of Louvre. Thanks a lot, Jo. Do visit Paris whenever you can.. it’s gorgeous! Glad you think so, Jo and thanks a lot for following. Weekly Photo Challenge: Silhouette « What's (in) the picture? Paris. How I wish to go back to your loving embrace again….